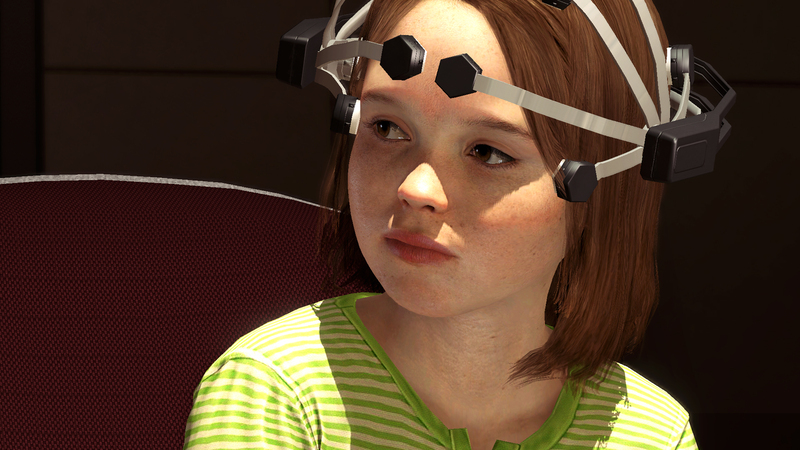 I have been excited for Beyond: Two Souls since its announcement. This year, I was finally able to get my hands on it and play the demo at PAX Prime. Having played it a little bit now, I am even more excited for the game. The demo opens with young Jodie Holmes playing with some toys. A man in a lab coat interrupts and tells her it’s time for the test. We’re led down a hallway and into a room. The room is bare except for a chair and a table with five cards on it. Jodie sits down in the chair and Willem DaFoe– I mean, Nathan Dawkins tells us it’s going to be okay. Dawkins and the other scientist leave and take their seats in a connecting room. They can see both Jodie and an identical room with a random woman in it and can speak to either of them through an intercom. After that dramatic scene, I enter a different phase of Jodie’s life. She’s now older and training in melee combat. 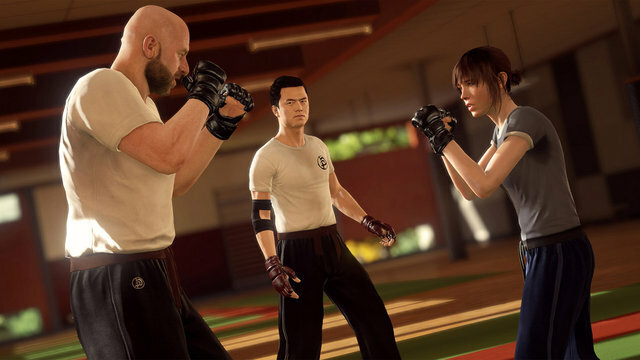 The controls are quick time events, much like Heavy Rain. When the game wants me to do something it enters slow-mo and I need to flick the joystick in whichever direction it wants me to. Sometimes it’s a little hard to tell because of the camera angles, because unlike in Heavy Rain there are no arrows to tell me which direction to go; I have to guess based on the camera angles and the action being performed. It took me a couple times to get past the training section because I needed to do it perfectly to pass and there was one spot I always wanted to duck when they wanted me to block. Fast forward again and Jodie is asleep on a train and clearly a fugitive. The train comes to a stop and there are police outside ready to step in a search the train. As Aiden I knock Jodie’s luggage down onto her, waking her up. At first she’s pissed, but then she sees the police. One enters the train car we’re on and recognizes Jodie. Time to run. Jodie stumbles through a few train cars before locking herself in the bathroom. The police are outside the door. Aiden busts open a hatch on the roof and Jodie climbs out. For some reason the train is at full speed again, even though I’d expect it to remain stopped until the police are done. I have to fight my way past cops who are just climbing out of the windows and onto the top of the train before finally getting surrounded. Looks like we’re gonna have to jump, Aiden. 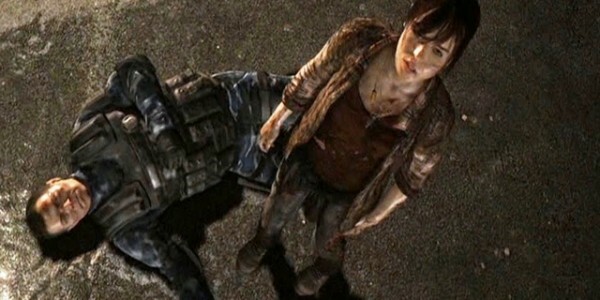 Luckily, Aiden can protect Jodie from fall damage with a barrier, which also stops bullets. It’s pretty handy. Next is a chase scene through the forest. I honestly wasn’t really sure which direction to go, but Jodie seemed to know the way. Unfortunately, the police dogs caught up with me. I failed a couple QTEs because I couldn’t tell which direction it wanted me to press, and the dogs started munching on Jodie. It was pretty terrible — I thought it was over. But, Aiden to the rescue! I switch to Aiden and do something that scares away the dogs, then back to Jodie and more running in the woods. I can see flashlights. There’s a rock wall blocking the path so Jodie begins to climb, but the police are there as soon as she reaches a low ledge. Cue Aiden to work his magic again, somehow hiding Jodie from sight. The police move on and Jodie climbs to the top and reaches a road, but there are police waiting. Aiden possesses a cop and uses him to distract the others while Jodie steals a police motorcycle. The police eventually catch up with her, but Aiden handles it. Wow. Despite some difficulty with the controls, the demo was amazing. The visuals were incredible, as was the acting. I cannot wait to explore the life of Jodie and Aiden. 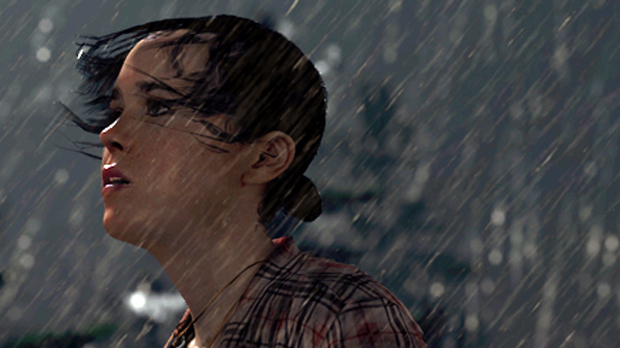 Beyond: Two Souls will be released on PS3 this October. You can watch the trailer below to see some of the scenes I played through and get hyped!